The magnificent and much-loved Sierra Nevada, called the "Range of Light" by John Muir, is the dominant feature on the California landscape. 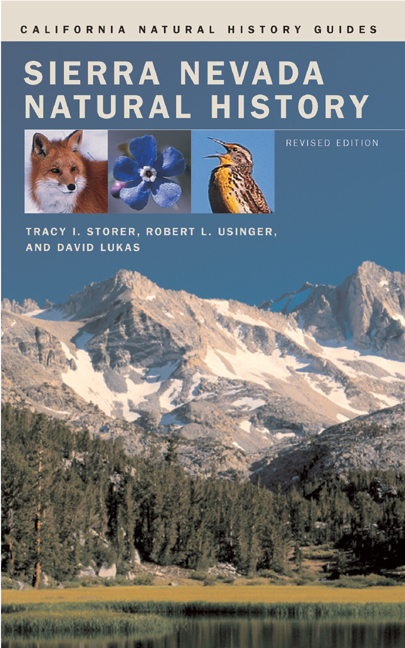 First published forty years ago, this handbook has become an enduring natural history classic, used by thousands to learn more about virtually every aspect of this spectacular mountain range—from its superb flora and fauna to its rugged topography. Comprehensive yet concise and portable, the book describes hundreds of species: trees and shrubs, flowering plants and ferns, fungi and lichens, insects and fish, amphibians and reptiles, and birds and mammals. 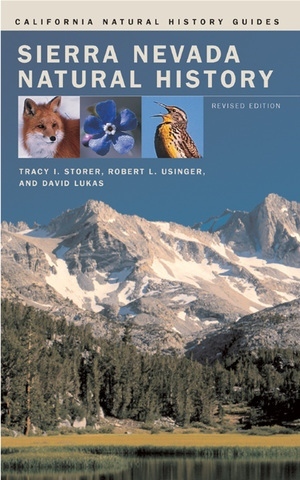 Now completely updated and revised, it will continue to be the essential guide to the Sierra Nevada for a new generation of hikers, campers, tourists, naturalists, students, and teachers—everyone who wants to know more about this unique and beautiful mountain range.